Situated in the Northeast of England, Lancaster University (LU) is collaborating with UNIL in a privileged partnership signed in 2015. Students and researchers are already collaborating around the theme of a ‘responsible future’. This relationship was strengthened further in October 2017 when, with the support of the International Relations Department, the two universities participated in an administrative and technical personnel exchange. Seven employees from each institution had the opportunity to explore daily work alongside their colleagues. Similarly sized, with green campuses on the outskirts of the cities, the two universities have very closely-linked areas of interest. However, there are significant differences between them in terms of organisation and financing. 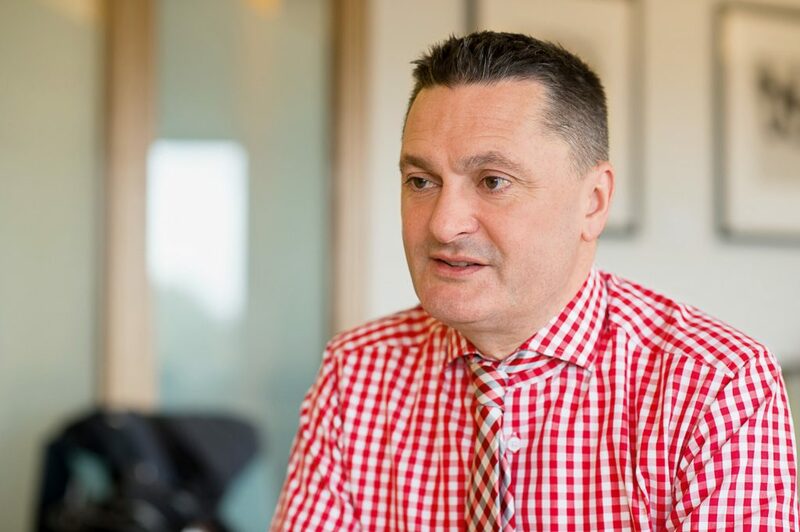 An overview with Professor Andrew Atherton, Deputy Vice-Chancellor, at Lancaster University. 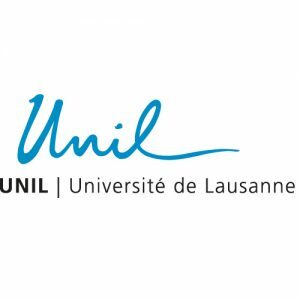 Tell us how the partnership between LU and UNIL came about. I came to Lausanne for the first time for an exploratory visit. Dominique Arlettaz was the rector at the time. At Lancaster, we were seeking out strategic partnerships with a limited group of similar universities, in terms of structure and size but also in terms of spirit. As is often the case, the chemistry between people is what makes the difference. From the beginning, the scientists from both of our universities became deeply involved. Your vice-rector of research at the time, Philippe Moreillon, had the great idea of bringing young researchers along for the adventure. His enthusiasm, his gift for persuasion, and his great style helped a lot. Lastly, we have a shared ethos. An unruffled ambition: Lancaster and UNIL are successful universities, but we seek an even greater success. Our partnership is based on shared fields of research. What projects are currently in the pipeline? We have a shared interested in English literature and poetry from the 19th century. This quickly generated the idea of building a module around lakes. The ‘gothic’ Lake Geneva with, for example, the Château de Chillon and Frankenstein. And the Lake District, a region near Lancaster, and its romantic poets. This collaboration is driven by the enthusiasm of its ‘champions’, like Simon Bainbridge here or, for instance, Anita Auer, Rachel Falconer and Boris Vejdovsky at your university. In another field, the African Americans in Paris study tour, offered every year (editor’s note: and led by Agnieszka Soltysik Monnet), creates a compelling experience for our students, who are immersed in a different language and culture, together with their counterparts from UNIL. How about the fields of environment and management? Our academic ties, around hydrology, for example, are very strong. But their interactions go much further than that in the vast field of environmental science, touching on climate change, environmental policies, etc. Finally, our Management School (with Professor Lucas Introna) and the Faculty of Business and Economics (with Guido Palazzo) have a shared interest in ‘corporate social responsibility’. It’s very interesting to examine the way in which literature affects our perception of nature. Our representations, a fundamental aspect of human nature, influence the appearance and the state of the world. What’s more, it’s evident that companies, whose business has an impact on the environment, are affected. The meeting of the three fields covered under our partnership raises fascinating research questions [editor’s note: such as, for example, the Global Warming and Societal Change course]. This programme is important because it allows for better understanding between our two institutions. When you understand how someone else works from being in their shoes, you can build structures that work. This facilitates our potential future collaborations, whether they involve teaching or joint doctoral programmes. Faculty exchanges like this one will make our partnership last longer. I hope to see even more creativity in our two universities because our employees were able to get some perspective on their daily tasks and come back from their trip with new ideas. Plus, Switzerland is an international, cosmopolitan country. You understand different systems and structures. You post your results from various national and international ranking systems on campus, on your website and in your communication. We would never do that! Not so long ago, Lancaster University was a little like UNIL. We knew that we were good, even if no one was saying so, as that would’ve seemed immodest. We thought that the whole world was aware of our quality, and that was enough. It was slightly naive. Then the 2012 reforms happened (editor’s note: the state has become much less involved in financing universities; people studying have to contribute much more to the costs, with annual fees of £9,250 for Lancaster). As a result, certain universities lost a lot of students, and others gained them, while our numbers only slightly increased. Hence the ‘marketing’ approach to attract students. It’s not just for the glory! A brand that’s recognised, at a national and international level, allows us to attract the best researchers and the best employees, which benefits the students. After that, why not spread the word about our quality? With this aim in mind, we use data from national rankings among others, which allows for comparisons. These rankings demonstrate the quality of what we offer and underscore progress made. That’s a great signal for you to send out: if I become a researcher at UNIL, I could win a Nobel Prize. And for students, it shows that they’re learning at an internationally-recognised institution. If you promote it in a positive way, I don’t think it could cause any damage to your ethos. It’s a way of showing, outside the academic realm, what UNIL can accomplish. Many of your students live on campus. They’re divided into your nine colleges, which evoke the four Harry Potter houses. When students start out at Lancaster, they have a lot of contact with their colleges (editor’s note: which manage their housing). They organise multiple events, facilitate social interaction and create relationships, easing the transition to university. We group together students from each of our four faculties, which opens them up to other disciplines. Moreover, this social environment creates an important safety net and offers support if someone is experiencing difficulties, whether on a personal, financial or academic level. It’s complete uncertainty. It creates doubt for our employees and our students coming from the EU. Unless we have a hard Brexit, the negotiations will be lengthy, with a transition over a ten-year period. We encourage our researchers to continue applying for European grants, such as ERC Grants or the Marie Skłodowska-Curie Actions. We encourage everyone to continue working with universities on the continent. These networks are essential. 4 faculties: Arts and Social Sciences, Health and Medicine, Management School, Science and Technology. 560 acres of campus (227 hectares, more than double that of UNIL). 49% of the university’s budget is provided by tuition fees, versus 2.4% for UNIL. In 2018 Lancaster is ‘University of the Year’ in the Times/Sunday Times guide.